Rubashkin studied biomedical engineering at Johns Hopkins University in Baltimore before making his way to California for a Ph.D. program in the Bay Area, at Berkeley and the University of California, San Francisco. After that he was with a consulting firm called Silicon Valley Data Science (SVDS). It was there that he began to see how much time physicians and other clinicians spent doing documentation, and set out to create a better technology solution to alleviate the issue. It was only about a year ago, in October 2016, that he pitched the idea of a better speech recognition solution to SVDS. The company provided pre-seed funding and helped get the project off the ground; Rubashkin now has amicably parted ways with SVDS, which maintains partial ownership in the startup. There are other voice recognition products out there serving the medical field, but these rely on the last generation of technology, Rubashkin said. He believes LexiconAI rises above the pack by offering an improved speech engine leading to fewer than one error per paragraph, which is nearly as accurate as a human typing. The product also has features that clinicians want and need, such as the ability to navigate by voice through different fields of an electronic health record, such as the PointClickCare system that Juniper uses. However, LexiconAI can integrate with any EHR though an iOS application or web browser, Rubashkin said. The Juniper clinicians do their note-taking on iPads. Rubashkin also sees senior care as a part of the market that can especially benefit from voice recognition technology, given the increasing documentation demands in these environments as the population ages and regulatory requirements grow. 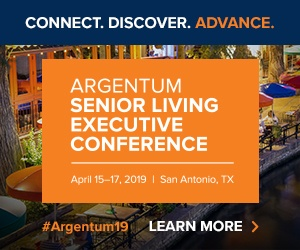 Though LexiconAI has been tested in radiology, emergency departments and other settings, the senior living and care market is now the primary focus for the company, which is also in the process of raising capital to grow. Though Juniper did not pay to do the pilot, LexiconAI now is available on the market and is looking for customers. Pricing is competitive with other speech recognition products and can be done either on the basis of individual subscription licenses or for a whole organization, according to Rubashkin. Juniper, for one, is on board. The company is now rolling out LexiconAI to another 50 clinicians, including some in memory care and skilled care.